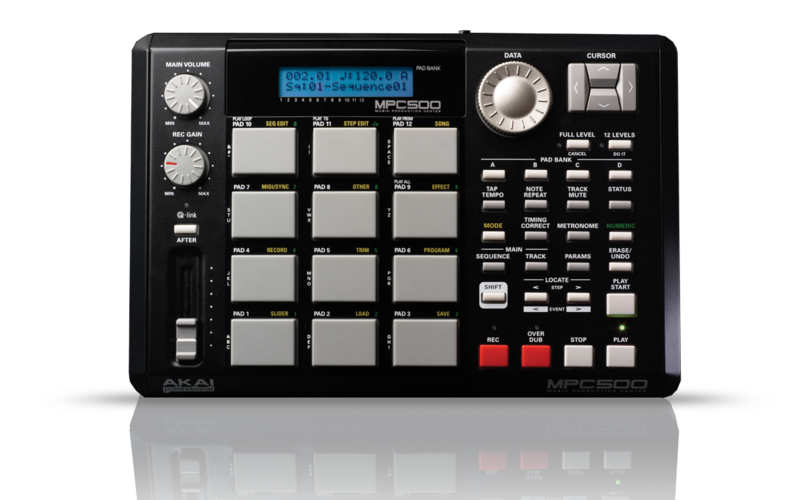 The MPC500 is one of the best sampling/MIDI Sequencers for under $700. We like it a lot it's so small but has a big sound and it's just like the mpc1000 or mpc2500 it just lacks the extras you get with those two powerhouse mpc's This DVD starts off with the back where we explain how to setup your mpc500, and what cables you'll need. Then we cover the front and teach you how all the buttons, knobs,and Q-link slider work so you can understand how the software works. Next we start to sample and show you the best way to get your samples recorded and how to edit them so they sound just right. Now it's time to place the samples in a program so we can play them on a pad then we edit the program allowing us to change volume, velocity, pitch, and other parameters of our samples. Next we need to put them in a sequence so we can make a track and edit that sequence. We even use our Keyboard player Dave to show you how to record midi data and edit it.We even show you how to save data. The MPC500 Part 2 DVD picks up where the MPC500 Part 1 ends. We get into sampling and how to edit any sample from reversing, chopping, extracting, truncating, deleting and loop samples, we even explain how to set the time stretching feature so you can make a sample fit the tempo you want without changing the pitch (tuning). Next put it in a program so we can play it in a sequence. Doc gets out his Mac laptop computer and pulls up Pro Tools then he takes a sample loop from a CD, a Sample Kings CD of course, then he turns the loop into a wave file then he sends it back to the MPC500 thru a USB cable, a great way to make up your own samples, puts it in a program and it's ready to use. Doc also used the MPC500 to remix a track by syncing it with protools. This DVD will teach you a lot about using this small MPC500 in the big world of music production. It's everything we'd expect from AKAI and just what we wanted to see.